People call me a feminist whenever I express sentiments that differentiate me from a doormat or a prostitute. 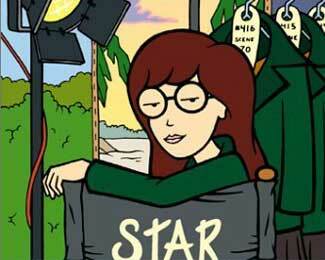 Every good nostalgic blog mentions something about their unnatural crush on a cartoon character from MTV’s Daria. For me, like many, I was desperately in love with Trent, apathetic musician and older brother to Jane. But Daria was more than just hot cartoon characters. Daria was arguably the single best cartoon character ever to grace television in the late ‘90s. She is the reason for my scholarly apathy; Because of Daria, I skipped senior prom, developed a monotone voice and I became the girl who would literally watch the volleyball roll past me in gym class (when I even bothered getting changed), hell my haircut even resembles Daria’s. I didn’t know why I hated high school or my peers, but I knew it was in the same spirit of everything I loved while growing up. Apathy on T.V. raised my generation. Daria premiered on MTV in 1997. 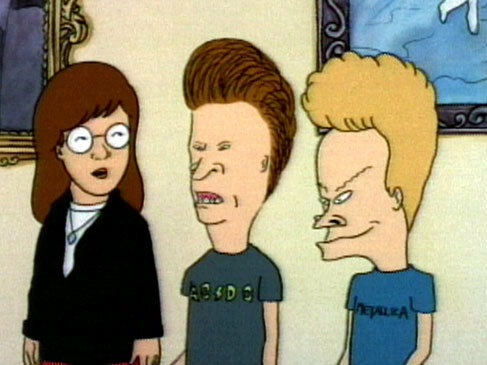 Her character was first introduced in Beavis and Butthead. In 2002 the show was canceled and doomed to live in syndication on the “N” network. I have been waiting years for Daria to be released on DVD. I once met a friend of a friend whose uncle was the producer of the show, I then begged for a copy but no dice. It was announced a few months ago in the opening preview to The State series DVD that my wait will be worth it, Daria is scheduled to be released in fall 2010. Daria, I miss the way you pair large black boots with skirts, the way you get joy out of “Sick Sad World” and your Mark Twain bed shirt. UPDATE: Daria on DVD will be out to buy on May 11, 2010!